Avira Free Security Suite 2019 is the first free security suite providing basic protection for your PC. It not only blocks malware but also anonymizes your browsing (VPN), hinders consumer surveillance (browser extension), and wipes your online traces (tune-up tools). Avira Free Security Suite is built upon the same award-winning technology found in the premium products. Avira Free Security Suite protect you in real time - against over 4 million daily threats, including ransomware. Avira Free Antivirus - Award-winning antivirus protection. Avira Free System Speedup - All-in-one tune-up tool. Avira Phantom VPN - Surf the web securely and anonymously. Avira Browser Safety - Browser extension that protect your privacy and also blocks malicious websites and phishing attacks. Avira Password Manager - Manage your passwords for all accounts. Avira Software Updater - Keeping your software up to date. Avira SafeSearch Plus - Browser extension that highlights infected sites. 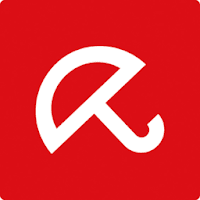 Avira Free Security Suite is 100% free suite that is also available in shareware premium paid edition: Avira Internet Security Suite - providing complete security solution. Disclaimer: Direct downloads for the lastest version of Avira Free Security Suite 2019 1.2.133.21088 are provided by the official software's author, we can't guarantee safety, availability or download speed. Moreover, we don't and we won't provide any pirated/illegal versions or tools. We recommend you to avoid it as these methods can harm your device. If you like the software, buy it to support the developers. (We provide software discounts for many worldwide brands).